Ever since Ayatollah Ali Khamenei was appointed Iran's supreme leader in 1989, there has been a power struggle in Iran between two groups. In one group are the moderates, reformists and liberals who want to open Iran's political system and make Iran a normal, non-revolutionary state. The second group consists of those who want to keep Iran in a permanent revolutionary state, preserve its theocracy and oppose rapprochement with the West. Ayatollah Khamenei is 76 years old. Rumors about his health have been circulating for at least 15 years. 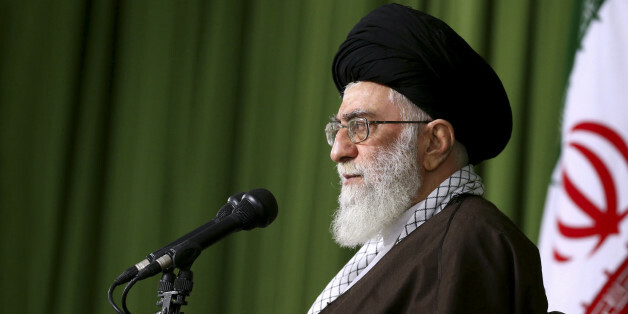 They became more credible when he underwent prostate surgery in 2014, and even more so when in a speech to the Revolutionary Guards officer corps in September of 2015 Khamenei said, Iran's enemies "are waiting for a time when the nation and system fall asleep, for example in 10 years when I may not be here, to realize their objectives," which he believes are trying to infiltrate Iran to gain influence. Thus, the question of Khamenei's successor grows more relevant each year. But, several very recent developments have added to the intrigue. 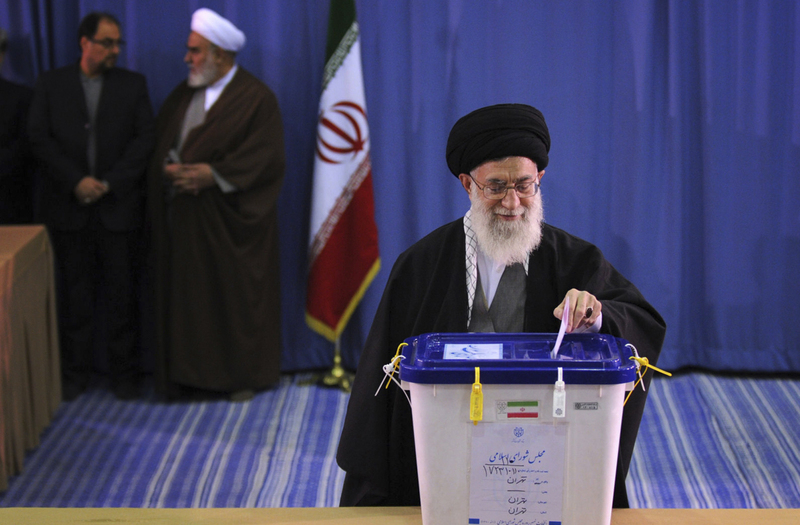 The first one was the announcement by Hassan Khomeini, a grandson of Ayatollah Ruhollah Khomeini, that he will run in the elections for the Assembly of Experts on Feb. 26, the constitutional body that appoints the supreme leader. Then, former President Akbar Hashemi Rafsanjani said in an interview on Dec. 13 that a group of senior clerics in the Assembly is examining potential candidates to be the next supreme leader. Rafsanjani has also been advocating a "leadership council," instead of the supreme leader, which has angered the hardliners. These developments brought to the fore the maneuvering behind the scenes by Khamenei's hardline supporters on the one hand, and the reformists and moderates, on the other hand. Both Rafsanjani and the young Khomeini are in the latter group. The moderates and reformers are hoping to send a group of like-minded clerics to the Assembly, so that if Khamenei's successor is to be selected, they can influence the outcome. Who are the potential successors to Khamenei? What is their background? This article describes some of them. Former President Ahmadinejad, left, and Shahroudi attend a press conference in 2005. AP Photo/Vahid Salemi. Ayatollah Sayyed Mahmoud Hashemi Shahroudi was born in Najaf, Iraq in 1948. He received his theological education in Najaf, and a leader of the Supreme Council for the Islamic Revolution in Iraq in 1982, which was the umbrella organ for two key Shia militias Iran funded and trained to oppose Saddam Hussein. Shahroudi served as Iran's judiciary chief from 1999-2009, and is close to Khamenei. Many believe that he has been the supreme leader's mentor. He is a traditional conservative, and has been described as brilliant by his peers for his knowledge of Islamic jurisprudence. Shahroudi was appointed the judiciary chief when former reformist President Mohammad Khatami was trying to implement his reforms. At that time Shahroudi spoke about the imperativeness of "judicial reforms" and the fact that he had inherited an "utterly ruined judiciary." Those statements gave hope to the moderates and reformists that he would depoliticize the judiciary, freeing it from the pressure by the hardliners. He did implement some reforms, including a moratorium on the punishment by stoning (the practice has been reduced, but has not completely ended); decriminalizing certain offenses and adding limited amendments to family law in favor of women by raising the legal age for girls to get married from 9 to 13. He also restored most of the structure of the judiciary that his predecessor, cleric Mohammad Yazdi, the current chairman of the Assembly, had dismantled. But Shahroudi failed to end arbitrary arrests of political activists, journalists and human rights advocates. Cruel and inhumane treatment of prisoners, often accompanied by torture and biased, and often totally unlawful trials behind closed doors persisted. He did not attempt, or was unable to make progress on the arbitrary shuttering of hundreds of newspapers, weeklies and monthly publications. Under him, the judiciary even tried to prosecute the Majles deputies that had protested the crackdown on the dissidents. Shahroudi is now a member of the Expediency Discernment Council, another constitutional body that acts as advisor to Khamenei. He is also a member of the Guardian Council and the Assembly of Experts. If he were to succeed Khamenei, he would perhaps take somewhat more moderate approaches to both domestic issues and foreign policy than Khamenei, as he is not close to the radical hardliners. Because he is a recognized Islamic scholar, he has the authority that Khamenei lacked when he came to power. That could enable him to enact some modest reforms. Rafsanjani during a meeting in October in Tehran. Thomas Koehler/Photothek via Getty Images. Born in August of 1934, and a key member of the ruling elite since the 1979 revolution, Rafsanjani needs no introduction. He has been a two-term president, speaker of the parliament, commander of the armed forces during much of the Iran-Iraq war (a post that was given to him by Khomeini), chairman of the Assembly of Experts and of the Expediency Discernment Council. He is still influential, is an ally of Rouhani and has wide support among senior clerics. But Rafsanjani is also 81 years old and despised by the hardliners. Ever since the election of Mahmoud Ahmadinejad as the president in 2005, the hardliners have been attacking Rafsanjani, trying to strip his political influence. Ahmad Jannati, the reactionary secretary-general of the Guardian Council, has called him a dog. Mesbah Yazdi has referred to him as a "smuggler." His daughters, Faezeh and Fatemeh, and son Mehdi Hashemi have all been prosecuted, and many senior IRGC commanders are fiercely opposed to him. Most recently, Hossein Fadaei, a hardliner with close ties to the IRGC threatened him with house arrest. In his current confrontation with the hardliners, Rafsanjani is seemingly pursuing three goals. One immediate goal is to pressure the hardliners to allow a large number of moderates and reformists to run in the upcoming elections. The second goal is to change the composition of the Assembly of Experts, so that if the time comes for selecting the next supreme leader, Rafsanjani and his supporters can play a decisive role. If he achieves these two, then the ultimate goal, controlling the IRGC, and eliminating the hardliners from the judiciary will become possible. Rafsanjani has always been a pragmatist, and over the last several years his views have gradually become closer to those of the reformists. If he were to be the supreme leader, he may try to democratize the system somewhat by diluting the absolute power that the supreme leader has enjoyed. Larijani listens to a speech by Rafsanjani in 2009. ATTA KENARE/AFP/Getty Images. Similar to Shahroudi, the current judiciary chief Sadegh Larijani was also born in Najaf in March of 1960. His older brother Ali Larijani is the speaker of the Majles [parliament], while his oldest brother, Mohammad Javad (Ardeshir) Larijani is chief of the human rights division in the judiciary who has been widely criticized for supporting the hardliners and their crackdown on dissent. Their father was Grand Ayatollah Mirza Hashem Amoli, who moved his family to Iran in 1961. Larijani was interested in science and received a scholarship to study abroad, but decided to join a seminary in Qom. His theological teachers included his own father, his maternal uncle Ayatollah Abdollah Javadi Amoli, and Grand Ayatollah Hossein Vahid Khorasani whose daughter is married to Larijani. 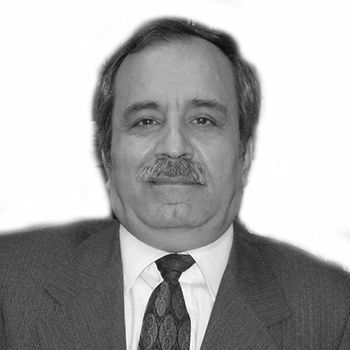 Vahid Khorasani is known to oppose Khamenei. When conservative clerics tried to promote Khamenei as a marja' taghlid [source of emulation] in the 1990s, Vahid Khorasani reportedly told him, "You be the sultan [king], but leave marjaeiyat [being source of emulation] to others." Whenever Khamenei visits Qom, Vahid Khorasani leaves town, just so that he would not have to meet with him. It has been reported that Vahid Khorasani is not happy about his son-in-law being the judiciary chief under Khamenei. Larijani is a relatively junior cleric. His promotion to judiciary chief is only due to his absolute obedience to Khamenei, who has been appointing him to various important governmental organs, and praising him lavishly. He is also a hardliner. Under him, especially since Hassan Rouhani was elected president in 2013, the judiciary has cracked down hard on dissidents, outspoken reformists and journalists. If he succeeds Khamenei, he will continue his authoritarian rule, conservative domestic policies and anti-American posture. Mojtaba Khamenei appears here in a BBC documentary about his father Ayatollah Ali Khamenei. BBC/YouTube. One of Ayatollah Khamenei's six children, Mojtaba was born in 1969 in the holy city of Mashhad in northeastern Iran. His first theological teachers were his own father and Hashemi Shahroudi. He moved to Qom in 1999 to study theology and join the ranks of the clergy. He was taught there by such conservative clerics as Ayatollahs Mohammad Taghi Mesbah Yazdi, Lotfollah Safi Golpayegani and Sayyed Mohsen Kharazi -- all very senior clerics. Mojtaba Khamenei exerts great influence on the Basij militia and other right-wing paramilitary groups, and played a leading role in the harsh crackdown on the Green Movement after the disputed presidential elections of June 2009. He is widely believed to have links with such forces through several prominent hardliners. One was Ayatollah Aziz Khoshvaght who died in 2013, and whose daughter is married to Mostafa Khamenei, Mojtaba's older brother. Saeed Emami, the notorious leader of the gang of security agents that was responsible for the infamous Chain Murders was also a friend of Mojtaba. Many dissidents were murdered by Emami and his gang from 1988-1998. Khoshvaght is believed to have provided Emami with fatwas for many of the murders. Mojtaba Khamenei and Emami even travelled together to Britain. Another link between the younger Khamenei and the hardliners is Brigadier General Sayyed Mohammad Hejazi, a former commander of the Basij militia and currently a deputy chief of staff of the armed forces. He is an ultra-hardliner who functions as one of Mojtaba's closest aides and supporters. Hardline cleric Hossein Taeb, a former commander of the Basij militia and current head of the intelligence unit of the IRGC, who has been a friend of Mojtaba since their high school years, is another link. Taeb's brother, Mehdi Taeb, is another hardliner close to the supreme leader's son. Mojtaba Khamenei is also close to many senior officers of the IRGC. He also played a leading role in the rise of Ahmadinejad to Iran's presidency, to the extent that Mehdi Karroubi, former speaker of the Majles and a leader of the Green Movement (who has been under house arrest since February of 2011), publicly protested Mojtaba Khamenei's intervention in the elections. Some experts believe that the elder Khamenei would like to see Mojtaba to succeed him. As evidence, they point to the efforts by Khamenei's allies to fill the ranks of the Assembly of Experts with younger clerics who owe their prominence to the supreme leader, and might play a decisive role in appointing the next supreme leader. But, Mojtaba Khamenei is not a senior cleric. It is only because of his father and his closeness to the hardline IRGC officers that he is even talked about as a possible successor to his father. If Mojtaba Khamenei were to succeed his father, he would most likely push Iran toward radical policies, making it a pariah state that Khatami, Rafsanjani and President Rouhani have tried to dispense with. Khomeini speaks at the election headquarters of the interior ministry after registering his candidacy for the Feb. 26 Experts Assembly elections in Tehran. AP Photo/Vahid Salemi. If Hassan Khomeini were to be promoted to the supreme leader, he will follow in the footsteps of Rafsanjani, Khatami and Rouhani, trying to moderate the political system by providing more freedom, while preserving its Islamic character. Cleric Ayatollah Ahmad Khatami in front of the portraits of the late Ayatollah Khomeini, left, and supreme leader Ayatollah Ali Khamenei. AP Photo/Vahid Salemi. Cleric Ahmad Khatami (no relation to the former president) is a dark horse candidate. Born in 1960 in Semnan, a town 130 miles east of Tehran, he is a hardline cleric promoted to various important positions only due to his absolute loyalty to Khamenei and the right-wing clerics. He is currently a member of the Assembly of Experts and part of its leadership, a Friday prayer Imam of Tehran that gives him an important position to espouse the conservatives' positions, and a member of the Association of Teachers of the Qom Seminaries, an important political group for the hardline clerics. Khatami supported Ahmadinejad during his presidency, and is an ultra-hardliner when it comes to social issues. For example, he declared that if necessary, even blood of women can be spilled in order to force them to wear the Islamic hejab, and that an Islamic government can even lash people to send them to heaven [meaning forcing them not to commit sins]. After Rafsanjani reminded members of the Assembly that they have a constitutional duty to monitor Khamenei's performance, Khatami strongly rejected it and fiercely attacked Rafsanjani. He is also fiercely against the Green Movement and opposes rapprochement with the U.S. If one were to identify three well-known clerics in Iran whose views, at least cultural ones, are similar to those espoused by the Daesh -- also known as the Islamic State or ISIS -- or the Taliban in Afghanistan, they would be Ahmad Khatami, Mesbah Yazdi and Mojtaba Khamenei. Given Iran's complex power structure and the constant behind-the-scenes maneuvering, it would be very difficult to predict with reasonable certainty who might be Iran's next supreme leader. But, it is likely that the next supreme leader would be from amongst the six described here. This piece has been adapted from earlier pieces on this topic by this author.